Local Studies recently received a wonderful donation of photographs of the AGL (Australian Gas Light Company) works at Mortlake from GML Heritage. It includes a series of AGL images taken prior to the redevelopment of the site as well as some interesting early images of the gasworks. AGL purchased 32 hectares of land at Mortlake in 1884 and commenced gas production two years later. The gasworks dominated the Mortlake landscape for over a hundred years until its closure in 1990 when the site was redeveloped for medium-density housing and today is known as Breakfast Point. 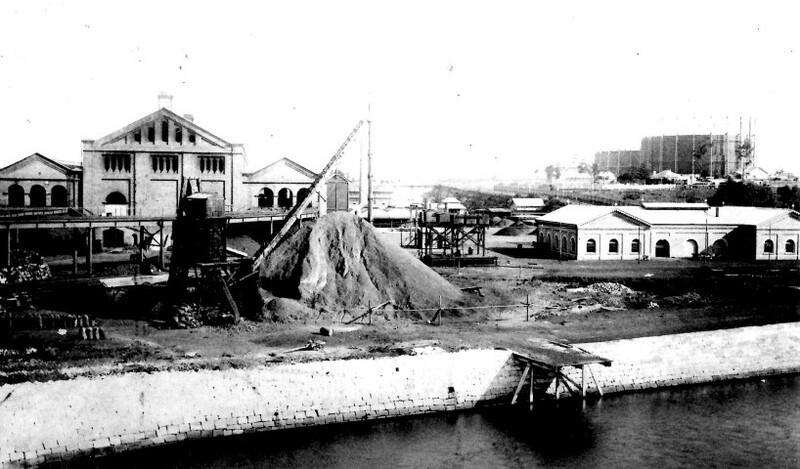 The photograph, above, is from about 1900 and shows AGL’s first Retort House (on the left) which was at the heart of the gas manufacturing operations. At this time the gas was made using coal which was transported to Mortlake from Newcastle by colliers, known as ‘sixty milers’ (the distance between the two locations). On the right can be seen the Blacksmith’s shop which has survived and been restored to become the Breakfast Point Sales Office. The collection donated by GML Heritage will be digitised and added to ‘Canada Bay Connections’. The historical link between Saint-Cyprien-de-Napierville, Quebec and the City of Canada Bay was marked last week by an exchange of letters as an expression of friendship. 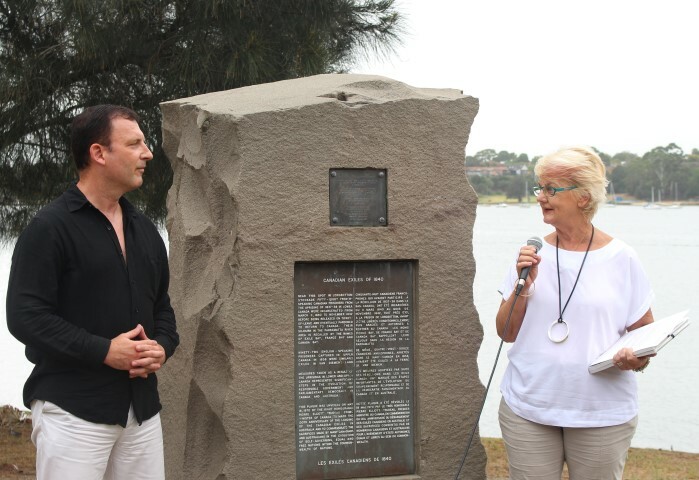 Appropriately the ceremony took place at the Canadian Exiles memorial at Bayview Park, close to where the exiles were set ashore in 1840. The events of 1837-1838 which led to the French Canadian Patriotes being exiled to Australia, where they were incarcerated at Longbottom Stockade, Concord have left their mark on our area. The names Marceau Drive, Chateauguay Walk, Exile Bay, French Bay and our namesake, Canada Bay are a reminder of their story. While most of the Canadian Exiles returned to their families and friends in Canada in 1842, Joseph Marceau who came from Saint-Cyprien-de-Napierville chose to stay and make a new home for himself in Australia. The photograph shows Pierre Marcoux from Quebec, who is working on a documentary on the Canadian Exiles, with City of Canada Bay Mayor, Helen McCaffrey (for more images, see flickr).